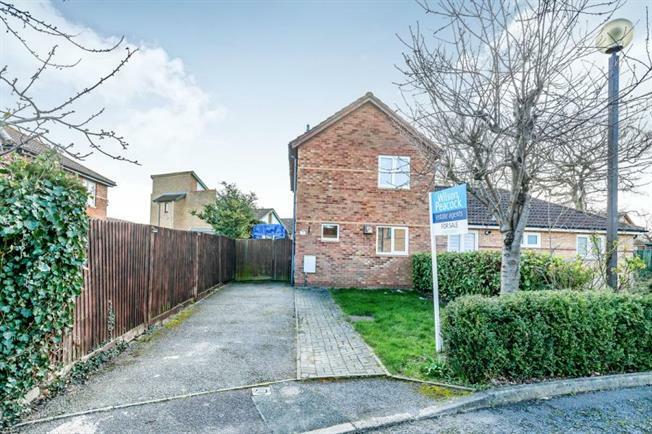 3 Bedroom Semi Detached House For Sale in Milton Keynes for £270,000. A recently refurbished three bedroom semi detached home in the desirable area of Crownhill. This property boasts a large entrance hall, a refitted kitchen, spacious lounge with double doors leading to rear garden. Upstairs you have three generous sized bedrooms and refitted family bathroom. Outside has off road parking and gardens to both front and rear. Entrance Hall Double glazed door to side aspect. Double glazed windows to front and side, with a radiator. 14' 4" x 9' 4" ( 4.37m x 2.84m ) Double glazed window to rear and side aspect. Double glazed French doors to back garden. Radiator. Carpet throughout. A re-fitted kitchen with a range of wall and base units with worksurfaces incorporating one and half bowl stainless steel drainer unit. Electric oven and Gas hob with cooker-hood over. Gas cooker point. Space and plumbing for washing machine and dishwasher. Space for fridge/freezer. Tiled flooring. Central Heating boiler. Radiator. Double glazed window to front aspect. Bedroom One 10' 8" to wardrobe x 7' 11" ( 3.25m to wardrobe x 2.41m ) Double glazed window to front aspect. Fitted wardrobes. Radiator. Carpet flooring. Bedroom Two 11' 9" max x 7' 11" min ( 3.58m max x 2.41m min ) Double glazed window to side aspect. Radiator. Carpet flooring. Bedroom Three 5' 11" x 7' 10" ( 1.80m x 2.39m ) Double glazed window to rear aspect. Radiator. Carpet flooring. A three piece part tiled suite comprising WC, wash hand basin and bath with mixer taps and shower over. Double glazed window to side. Lino flooring. Mainly laid to lawn with fencing surrounding.